Would you make a good auditor? Take our career test to find out how you match with this and over 800 other careers. What is the workplace of an Auditor like? An auditor is someone who prepares and examines financial records. They ensure that financial records are accurate and that taxes are paid properly and on time. They assess financial operations and work to help ensure that organizations run efficiently. In addition to examining and preparing financial documentation and written reports, auditors must explain their findings. This includes face-to-face meetings with organization managers and individual clients. Many auditors specialize, depending on the particular organization that they work for. Some specialize in assurance services (improving the quality or context of information for decision makers) or risk management (determining the probability of a misstatement on financial documentation). Other auditors specialize in specific industries, such as healthcare. Some workers with a background in accounting and auditing teach in colleges and universities. do a broad range of accounting, auditing, tax, and consulting tasks. Their clients include corporations, governments, and individuals. They work with financial documents that clients are required by law to disclose. These include tax forms and balance sheet statements that corporations must provide potential investors. 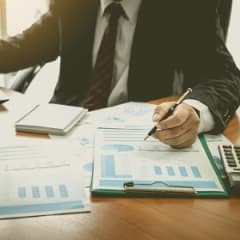 For example, some public auditors concentrate on tax matters, advising corporations about the tax advantages of certain business decisions or preparing individual income tax returns. They review clients' financial statements and inform investors and authorities that the statements have been correctly prepared and reported. Some public auditors specialize in forensic accounting or investigating financial crimes, such as securities fraud and embezzlement, bankruptcies and contract disputes, and other complex and possibly criminal financial transactions. combine their knowledge of accounting and finance with law and investigative techniques to determine if an activity is illegal. Many forensic auditors work closely with law enforcement personnel and lawyers during investigations and often appear as expert witnesses during trials. Government auditors maintain and examine the records of government agencies and audit private businesses and individuals whose activities are subject to government regulations or taxation. Auditors employed by federal, state, and local governments ensure that revenues are received and spent in accordance with laws and regulations. check for mismanagement of an organization’s funds. They identify ways to improve the processes for finding and eliminating waste and fraud. are independent auditors that do not work for the company they are auditing. Investors, government agencies and general public companies rely on this type of auditor to present an unbiased and independent report. 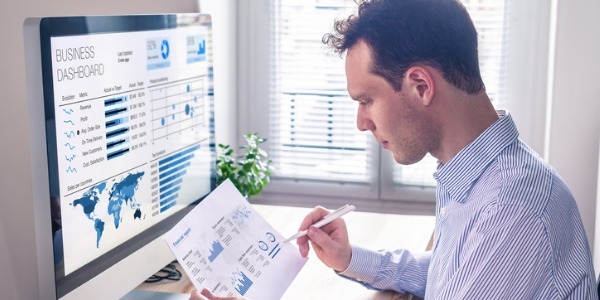 are internal auditors who review controls for their organization's computer systems, to ensure that the financial data comes from a reliable source. Are you suited to be an auditor? Auditors have distinct personalities. They tend to be conventional individuals, which means they’re conscientious and conservative. They are logical, efficient, orderly, and organized. Some of them are also enterprising, meaning they’re adventurous, ambitious, assertive, extroverted, energetic, enthusiastic, confident, and optimistic. Does this sound like you? Take our free career test to find out if becoming an auditor is right for you. Most auditors work in offices, although some work from home. They may at times travel to their clients’ places of business.